The Greenlee GVIS300 and GVIS400 provide industry leading field of view, which allows the technician to measure and analyze the connector ferrule outside the four zones. 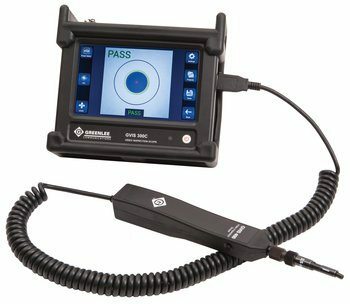 The GVIS400 provides pass/fail analysis compliant to IEC61300-3-35. Test results can be downloaded to the GVIS application which can be run on Windows, iOS, and Android applications. 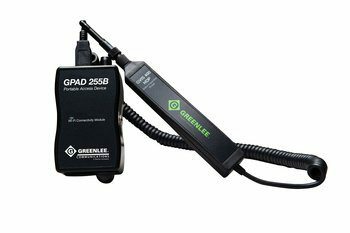 The GVIS400 can be interfaced to the GPAD250, which provides a WiFi hotspot, allowing the technician to transmit images on laptops, smart phones, and tablets. You have successfully added (0) item(s) to your cart.